Half of the eighth grade class from South Orange Middle School in New Jersey opted out of the photo. 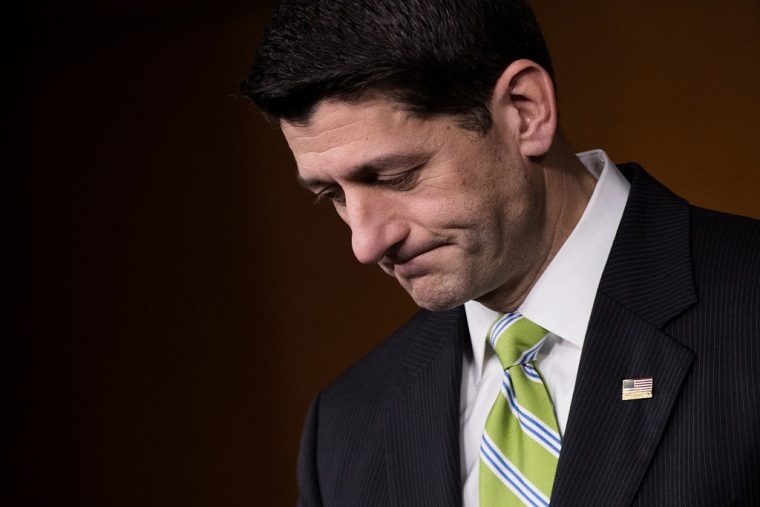 During a school trip to Washington D.C., 100 New Jersey middle school students refused to take a picture with House Speaker Paul Ryan. According to ABC News, half of the eighth grade class from South Orange Middle School watched from across the street while their classmates posed for a photo. "It's being associated with a person who puts his party before his country," Matthew Malespina, a student who chose not to participate in the photo op, told ABC. When Ryan posted a picture of himself with some of the students on his Instagram with the caption, "Got that #Friday Feeling," students and parents responded in the comments section. Elissa Malespina, Matthew's mother, commented,"More than 50% of the students refused to take that photo including my son. So please tell the whole story." One commenter, who said they were in the picture, wrote that the photo was not an endorsement of Ryan's politics: "I'm in that photo by I don't support your political views. I just decided to be in that photo for the opportunity. Half of the people in our grade decided to not even be in the photo and also by the way it was Thursday."